At my university, we are moving towards more technologically enhanced teaching and learning. Along with my colleague from the School of Education, I am helping to oversee the faculty development of online and blended instruction. We are working on ways to better improve our courses’ universal design, such as through multimedia presentations. The goal is to improve our communicating both inside and outside of the classroom. To that end, I am going to be experimenting more with creating presentations via Camtasia, one of the screen capture software that can be used to create more dynamic lectures and instructional materials. The video here is only my first, tentative step toward such an act, as well as being an illustration of an important concept for my own research as well as for the education of our future communication engineers. Affordances & Constraints Communication Model – YouTube. Every medium of communication has a unique combination of possibilities (affordances) and limitations (constraints). Thus, every medium will impact the message transmitted through it in different ways. If you know the affordances and constraints, and how they impact the message, then you can better plan for the use of that medium in your communication. 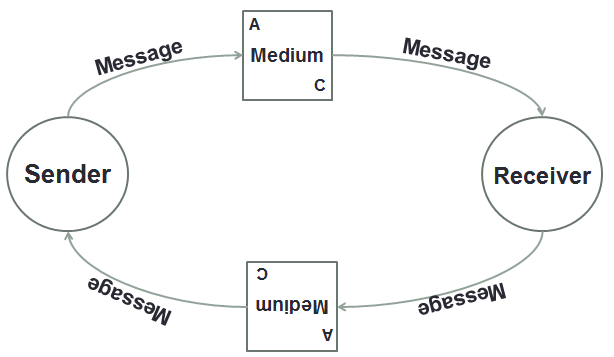 To learn more about communication models, seek out this entry: http://en.wikipedia.org-wiki-Models_of_communication.